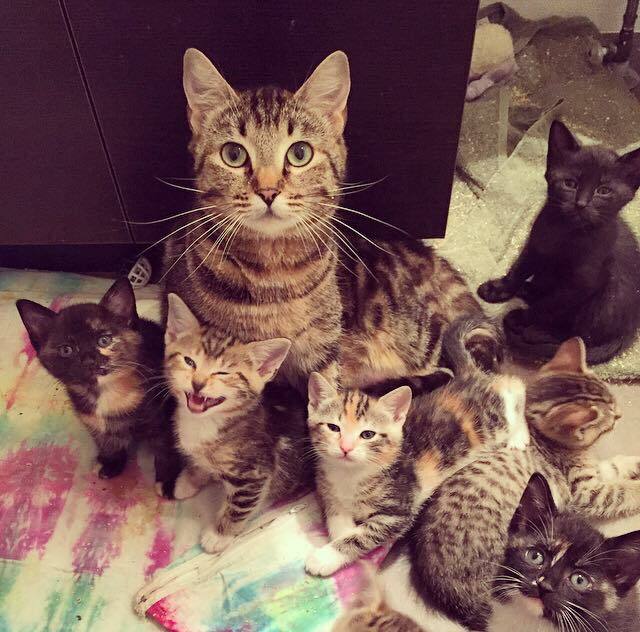 Kittypants is the proud mama of seven kitties. Happily, she was adopted with one of her spotted little kitties, Britches. Gillian fell in love with the two when she visited them in their foster home. Kittypants (now Simi) was a nervous mama, but accepted hellos and pats. Britches (now Max) was a confident kitten marching around the room always looking for trouble. 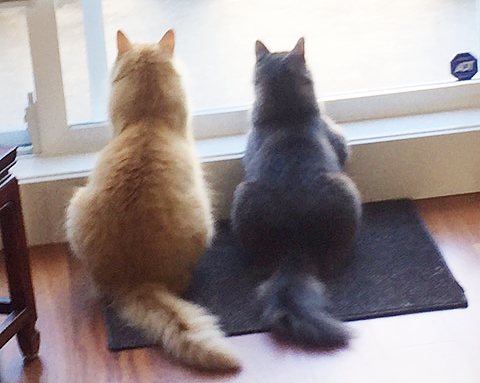 Since being adopted, Simi and Max have adapted well. While still somewhat nervous, Simi’s become much friendlier and confident. 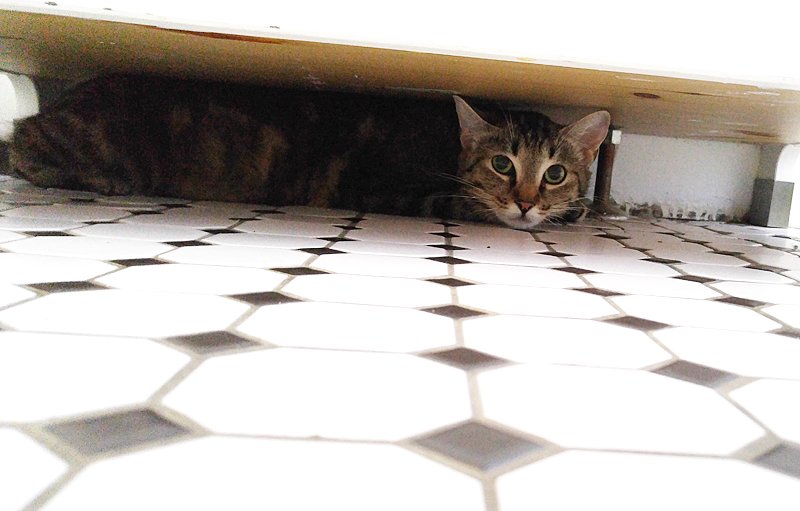 In the beginning, she hid under the bathroom sink, skeptical of her human parents. It’s taken a long time for Simi to trust them and it’s still a work in progress, but now she purrs the moment you pat her and is quite playful. 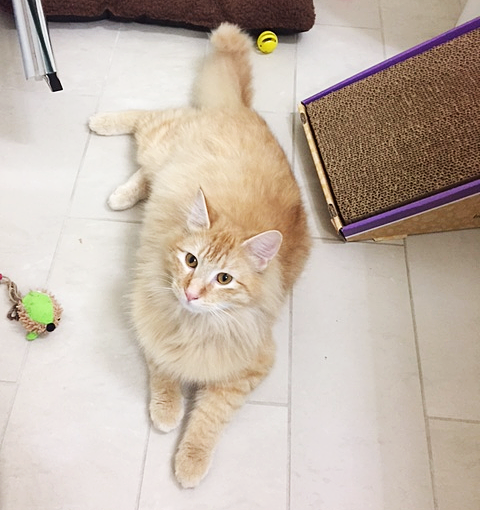 Max is a curious kitten with tons of energy, usually used during playtime or to show Gillian where his food is. Both furballs are gentle, lovely companions who are also easy to train. Simi learned to ‘sit’ in about two minutes! Smitten by Simi and Max, Gillian and her partner love discovering their individual personality quirks. Once Simi realizes she’s getting pats, she always runs over to a good patting spot – carpet or mat – to stretch out as long as she can to receive a full back rub. Max starts purring whenever they talk to him, pat him, feed him, play with him, look at him and pretty much just 24/7. We’re so happy Simi and Max are flourishing in their furever home with endless pats and playtime. 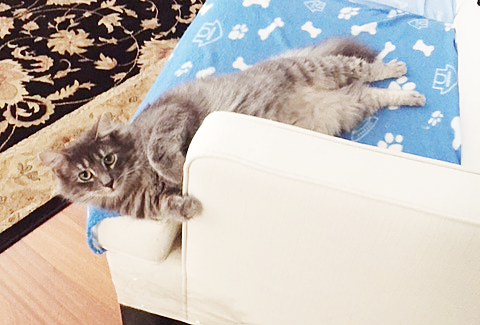 Thank you to Gillian and her partner for giving these furballs a second chance and a loving, fun-filled home. Want to share your Happy Tail? Email us at communications@vokra.ca. Flashback to Kittypants with all her baby pants. 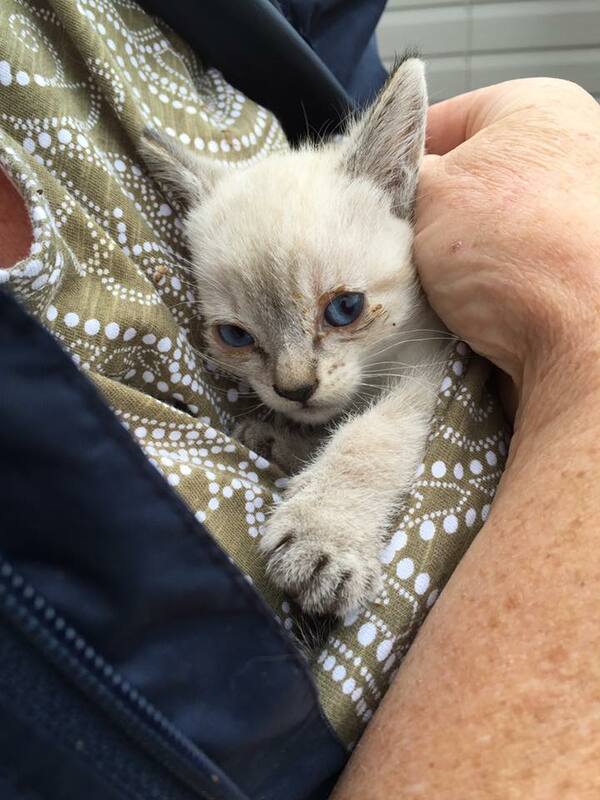 Finn was trapped along with her mom Pumpkin and brother Henry at a trailer park in Langley. She arrived at VOKRA covered in fleas and with an infection that made her eyes all gooby. It was also immediately evident something was wrong with her back legs. We suspected she had swimmer syndrome, a developmental abnormality making her unable to stand. Always a little trooper, Finn wouldn’t let her disability get in her way and would wiggle herself around our Operations Centre looking for cuddles, which, or course, she’d always get! 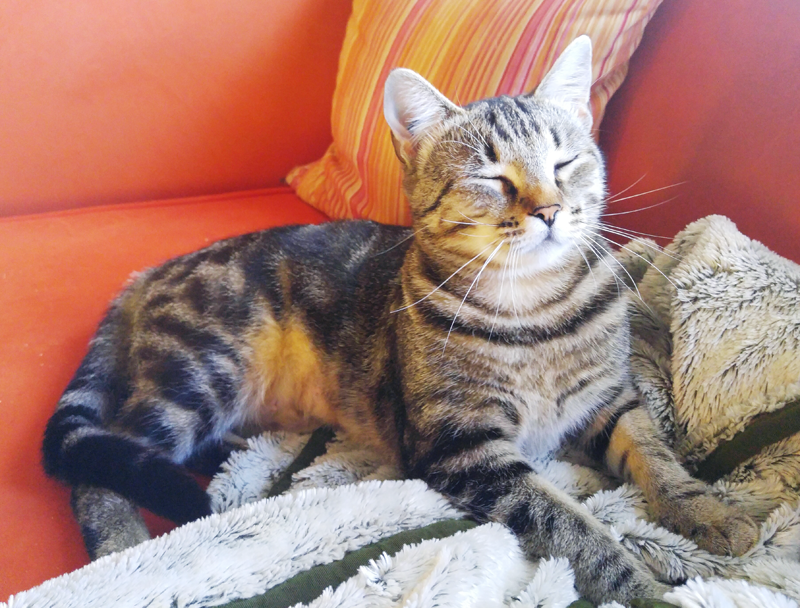 After several different vet visits, Finn was diagnosed with a spinal issue and it was discovered her right hind leg is significantly shorter than her left. To top it off, because she’s semi-incontinent she’s had to battle several urinary tract infections (UTIs), which isn’t uncommon for kitties with her condition. So today Finn lives with foster mom Corin and gets regular physiotherapy to help her get stronger so she can stand in her litter box and hopefully avoid future UTIs. Finn gets regular hydrotherapy in the bathtub where she can now stand and take some steps. Corin also does both seated and standing passive manipulation with her to help train her muscles and Finn has some supports she uses to help her get around. 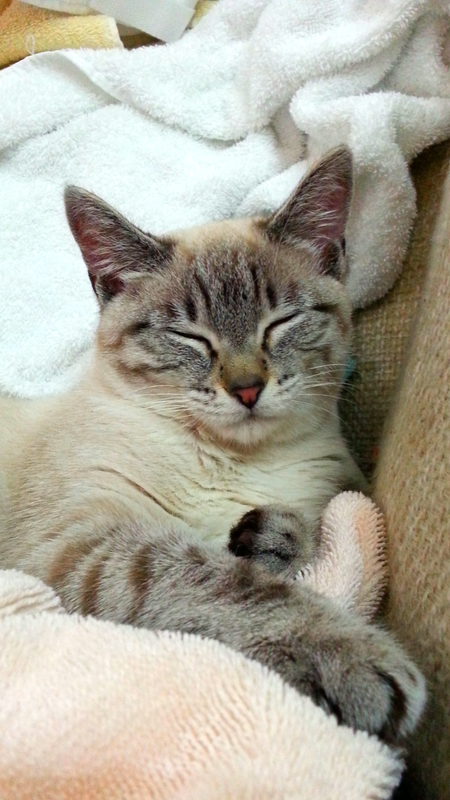 Along with her increased strength Finn’s litter box habits are improving so she’s currently UTI-free. If she can remain this way, she’ll head back to the vet to be spayed and will have additionally imaging done to better diagnose her issues. Then she’ll be able to start professional physiotherapy and even perhaps acupuncture. The reality is only 25% of kittens who don’t receive human care survive. It’s a certainty Finn would not be alive today without help. Unlike many other animal rescue groups, VOKRA is a no-kill organization. This means we will always provide kittens like Finn with a chance at a happy life, no matter the cost. Finn is just one of the thousands of reasons why we Walk for the Kitties. Each year, VOKRA rescues more than 1,400 homeless cats and kittens from around the Lower Mainland. We’re volunteer-driven and our work is made possible through the generous support of people like you – our volunteers, adopters and donors. 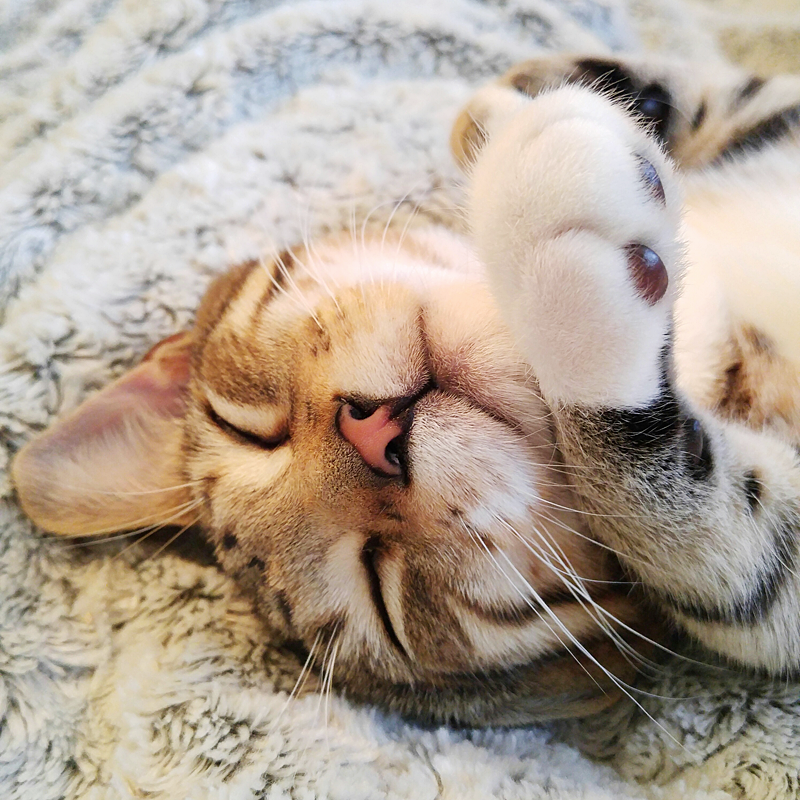 Walk for the Kitties is our largest fundraising event of the year and we rely on the funds raised to help pay for all the things like food, litter and veterinary care our kitties need. Please help us help kitties like Finn this September 17 by joining us for Walk for the Kitties, presented by FirstMate. Can’t make it on September 17? You can still help when you donate today! Last December, Helmut and Heidi were two feral cats trapped, along with several other cats, from a building in Fort Langley. Scared and uncertain, they started to come around after a few weeks in VOKRA’s care. Cathy visited the pair at their foster home where their foster parents nurtured them through socialization and play. While Cathy originally only wanted to adopt Helmut, she saw how attached to Heidi he was. He would protect her and always tried to get between her and any stranger. 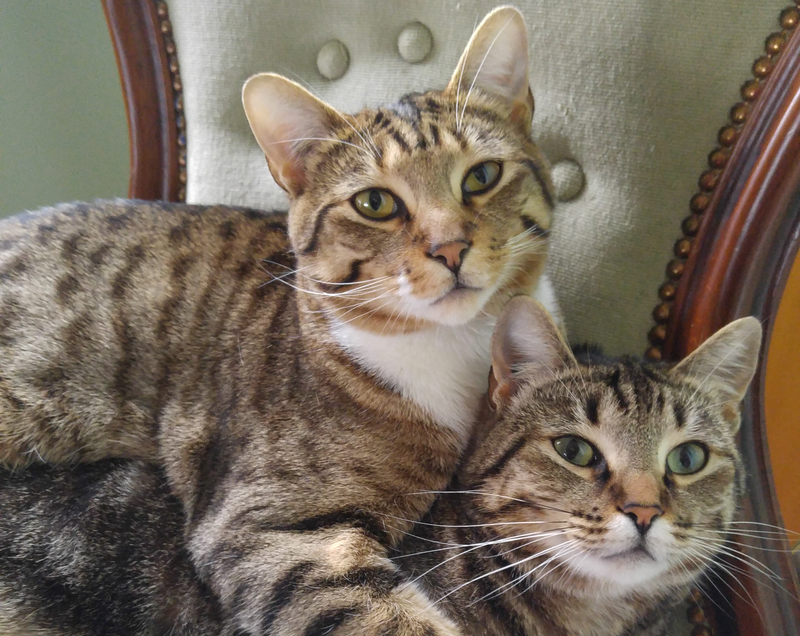 Seeing their bond, Cathy adopted the pair into their furever home and they became Beckham and Posh. Beckham and Posh have grown since the beginning of the year, doubling in weight, and their fur has improved and they now have very thick undercoats. Beckham purrs night and day and just about turns inside out to be brushed and pampered. Posh has an undying love for her dried sardine treats, constantly weaving through Cathy’s legs begging for some. While petting is still unwelcome by Posh, she enjoys licking Cathy’s fingers and purring. Cathy is thankful to VOKRA for ensuring the best of care when Beckham and Posh were first rescued, and we’re happy these two furballs have found their loving furever home.